According to a fresh Wall Street Journal report, when Marcelo Claure became Sprint CEO last year, he had the company spend $25 to $30 million to hear recommendations from consultants. The latter group was led by long time wireless industry player Dennis “Sol” Trujillo. Claure was looking for input on how to improve the quality of Sprint's network. The carrier was hurt the most out of any of the major four U.S. mobile operators when it came time for it to build out a 4G LTE network. It has yet to fully recover from the hiccup. Sprint was negatively affected by its poor network quality. It also was negatively impacted when the pied piper of wireless, T-Moble CEO John Legere, began wooing wireless customers with a number of Un-carrier deals. Earlier this year, T-Mobile surpassed Sprint to become the third largest U.S. carrier. 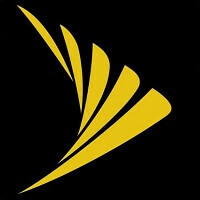 Insiders at Sprint were reportedly shocked and upset over the deal with Trujillo and the rest of the consultants. The agreement was signed during a period of time when the carrier was trying to cut-costs. In addition, Sprint CEO Claure was the executive who worked out details of the consultants' deal without getting the customary input from other executives. The consultants employed by Sprint worked for a period of five months. The original plan was to pay them $50 million for 12 months of work, but Sprint (and SoftBank) Chairman Masayoshi Son disagreed with the recommendations made by Trujillo. As a result, Sprint spent all of that money for nothing. Not one suggestion made by the consulting team was ever put into place. Claure was named CEO after long time executive Dan Hesse was forced out by the board in August 2014. Hesse was unable to get T-Mobile and Sprint to the altar after publicly pushing for the transaction. Once it became apparent that it was not going to purchase T-Mobile, Sprint signed Claure to take over as CEO, figuring that Hesse would always be associated with a merger that never took place. see this is why i left simple get on tv say sorry we are working fast on updates to fix issues then toss that 40 millions into tower installs mini towers get rid of the spanish guy ceo stop paying millions on millions to ceo's they dont do crap to earn that money its like paying me 10 million to do a air conditioning yearly maintenance. Damn What A Waste, They Could Have Used That 50mil To Improve Their Coverage Signal Somewhere. Yea they could and should of invested in LTE in the first place instead of making WiMAX which was a colossal failure, in which in one of the biggest reasons on why it hurt the company and hasn't recovered it. Didn't they have to use WiMax to keep the spectrum though? Like if they didn't use the spectrum then, they would lose it, and LTE wasn't ready. I actually liked WiMax in NYC. It was super fast. Sprint had .Smith which regulated the speed, but I rooted my phone and deleted that and at the time was getting 15Mbps dl speed which was FAST at the time. And actually still fast to me.